No matter how laid back and relaxed you are, meeting someone you could fall in love with isn’t something that happens every day in this fast-paced world. Free time is a commodity nowadays, which is why online dating sites have become the new leading form of romantic pursuits. Speaking of online dating, there is one website that seems like a good place to start looking for a potential partner – Local Match. 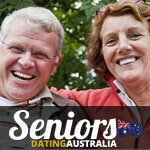 Without further ado, here is our take on this Australian-based dating service. Local Match perhaps isn’t among the biggest online dating sites in the world, but one quick look convinced us that it most certainly grasps the real essence of a truly great online dating game. The phrase “It’s fast, it’s easy, and it’s open all day” really gives off the impression that Local Match truly understands what online dating is all about. Apart from their welcoming speech, you’ll be offered to sign-up for free right there on the front page, which is a big plus for this website. Discover other singles in your area! Visit Local Match now! It seems like keeping it simple is what 99% of online dating websites are focused on in terms of design, and Local Match is no exception. With plain buttons and layout, the site tends to make its features rather visible and easily accessible. However, when we dug a bit deeper into the website, we noticed that things can get a little chaotic visually. It’s not a disaster, but it could be a little bit more organized – after all, you’re here to find love, not to ponder on a website’s layout and color scheme. Like we mentioned before, becoming a member of Local Match is completely free. Simply enter your location, email address, and you’re good to go! However, being a part of this free online dating site comes in two forms – free and Premium. Opting out for the latter perhaps has a price, but it gives way to many interesting and useful tools that will aid you in your search for love. Free members are able to create a profile, upload a photo of themselves, and browse through the site’s members. Premium accounts, on the other hand, can add regular and video chat, send messages, get access to all the profiles on the site, and add an advanced search tool to their list of benefits. 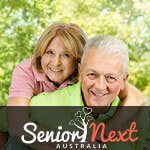 Since Local Match is an Australia-based online dating site and, as the name says it, it will always try to match you up locally. So, if you are from Australia and you’re using Local Match to find a romantic connection, you’ll most likely come across someone who lives in near proximity of your location. 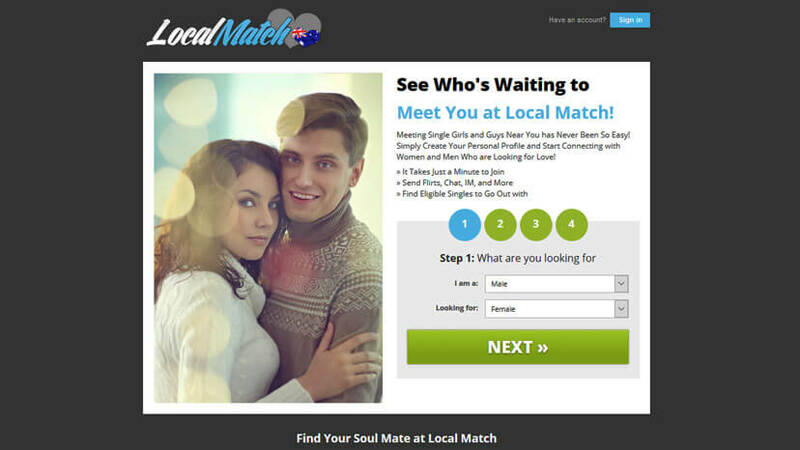 If you’re not from Australia, don’t worry – this website also houses a plethora of users who don’t come from down under, which means Local Match is a viable online dating platform for virtually anyone. Browsing through the member base on Local Match seemingly doesn’t have an end. That being said, we are almost certain that this dating service can find a match for literally anybody. Local Match is one of those online dating sites that aren’t always mentioned as the biggest or the most popular, yet it seems they always get the job done regardless. With that in mind, go ahead and check this website out – we promise you won’t be disappointed!